Update: Nicholas Hamilton was found safe outside a friend’s home in La Mesa on Saturday. Nicholas Hamilton is missing in San Diego. He has not been seen since May 2. He suffers from post traumatic stress disorder and he has been in the Navy for 10 years. He was last seen at the Naval Base in San Diego. During his last deployment he had a flash back on the USS Ronald Reagan, and was sent home for treatment. 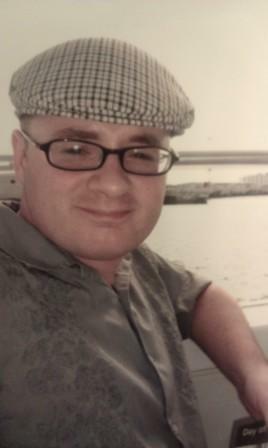 Nicholas is 5’10”, 195 pounds, light brown hair, hazel eyes and black rimmed glasses. Nicholas has several tattoos. One with a Piranha on his right arm, a raven, turtle and sunburst on his left arm, and two boys dressed as pirates on his right calf.